Oh, the holidays! Don’t get me wrong, I love Thanksgiving and the yummy food. But for me Christmas is like no other. Nothing can measure up to this magical time filled with beautiful lights, songs, and holiday cheer. I think I am a pretty happy person all year round, but Christmas adds even more of a sparkle to my life. Which is why I look forward to all of the holidays happenings in the city so that I can truly get into the Christmas spirit. All of the celebrations and tree lightings are beautiful, but the one in the common is the one I look forward to the most. The tree is so large and they always put on a nice show with holiday songs and performances. Watching this big glorious tree light up sends me full swing into the greatest time of the year. Come be a part of this happy and joyful crowd on Thursday night. Having the community together all celebrating the start of the season is a nice feeling to be a part of. Let’s get those lights lit and our smiles wide! Happy almost holidays from a true Christmas lover. 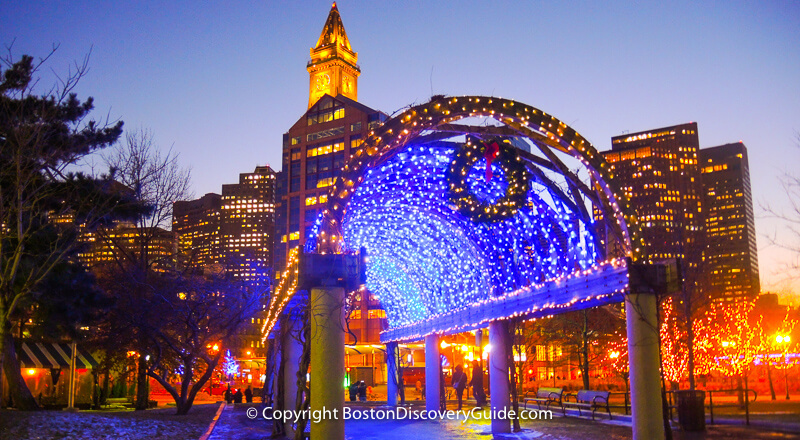 Find dates and times for Boston's Christmas tree lighting ceremonies in November and December, plus more festive things to do near each location.